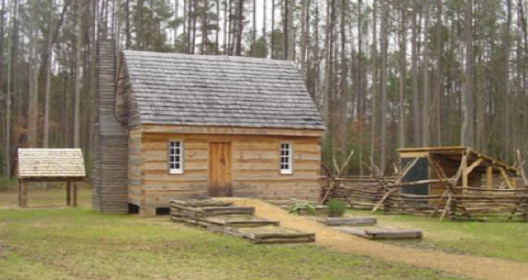 JCC Parks & Recreation continues to work diligently to preserve one of the nation’s earliest Free Black Settlements in America, which include three historically accurate recreated cabins that are located in a meadow and are furnished with items authentic to the period (1803-1850). Trails are closed to bikes during inclement weather to prevent trail degradation. Riders are encouraged to call 259-4022 to check trails status. Members of the Williamsburg Botanical Garden , in a formal partnership with the County, used their volunteer energy and resources to create, plant, and maintain a garden at the site. The “Ellipse Garden” features more than 800 species of native Virginia vegetation. The Freedom Park Interpretive Center features exhibits of artifacts recovered during the construction of the park as well as an interactive kiosk that provides visitors a visual tour of the park, its amenities, wildlife and history. The Center includes a meeting room with capacity for 50, an indoor wood-burning fireplace , an outdoor fireplace area and outdoor access to bathroom facilities when the Interpretive Center is closed. WI-FI connectivity is available. Monday- Friday, 10 a.m. – 5 p.m.
Sunday, 9 a.m. – 5 p.m.
Meeting Room use includes use of the kitchen and outdoor fireplace area. Set up may begin up to 30 minutes before the Center opens; break down after an event can be completed up to 30 minutes after closing, if needed. Staffing fees are determined by the Facility Administrator, dependent on size of event. To rent space at this facility, complete the Facility Request Form below. 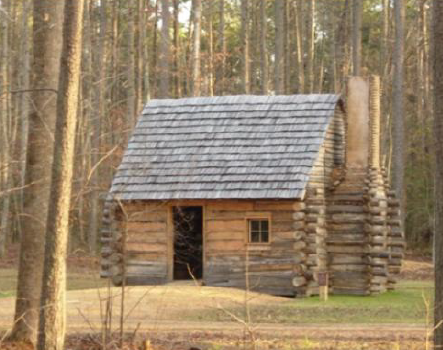 The final of three recreated cabins was completed in 2008 in Freedom Park. On this original tract is a purposefully established community whose inhabitants consisted of Free Blacks. Here, visitors can see three types of dwellings that they occupied between 1804 and 1860. In 1802 William Ludwell Lee bequeathed his slaves their freedom and specified that comfortable homes were to be built for them on the “Hot Waters,” a subsidiary farm of the nearby Green Springs Plantation. Lee died in 1803 and soon after his executor began building houses for the former slaves. This interpretation draws upon historical and archaeological research to convey a sense of what life was like for these men, women and children. It also takes into account the rigors of everyday life and economic hardships that James City County’s Free Blacks experienced nearly 60 years before President Abraham Lincoln issued the Emancipation Proclamation. By 1805, William Ludwell Lee’s executor had begun constructing cabins for Lee’s former slaves, who were allowed to live on the “Hot Waters” for ten years, rent- free. One housing type made use of log and timber construction and a wooden chimney. 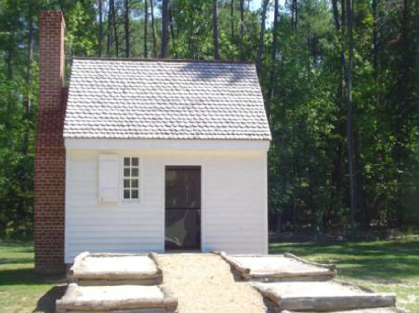 This very modest dwelling was typical housing for slaves, Free Blacks, and poor whites. Such cabins might last only 20 years before falling into despair, leaving behind very little archaeological evidence. This house represents a household occupied by John Jackson, a former Lee slave, his wife Nancy, and two children. John Jackson eventually was able to purchase and develop his own property and his descendants still live in the area. This small house with its only 288 square feet of living space has a brick chimney, windows that contain glass and stairs leading to an overhead loft— improvements suggesting permanency. It is the type of house that would have been occupied by Anthony Brown, a former Lee slave who spent much of his adult life on the Hot Water tract. Brown was a farmer. He shared a home with his wife Rachel, a washwoman and their several children. The disposable income Anthony earned enabled him to purchase a horse or mule to help with his farming operations. Pictured above is a view of the home with its chicken coop (left) and livestock pen that would have enabled him to maximize his agricultural productivity. An artisan or worker with marketable skills would have occupied this more comfortable home. This one-room house, which reflects economic success, has refinements such as wooden floors, plastered walls, and an attic. It is covered with clapboards and has a shingled roof and brick chimney. Juba Lightfoot, a bricklayer and plasterer, though not one of Williams Ludwell Lee’s ex-slaves, spent much of his adult life on the Hot Water property. He and his wife Betsy, a laundress, shared their home with several children.